It's a mystery in space: Why would the Guardians of the Universe hide top-secret intel deep in the bowels of a secret vault on Thanagar Prime? The answers will change the DC Universe forever! 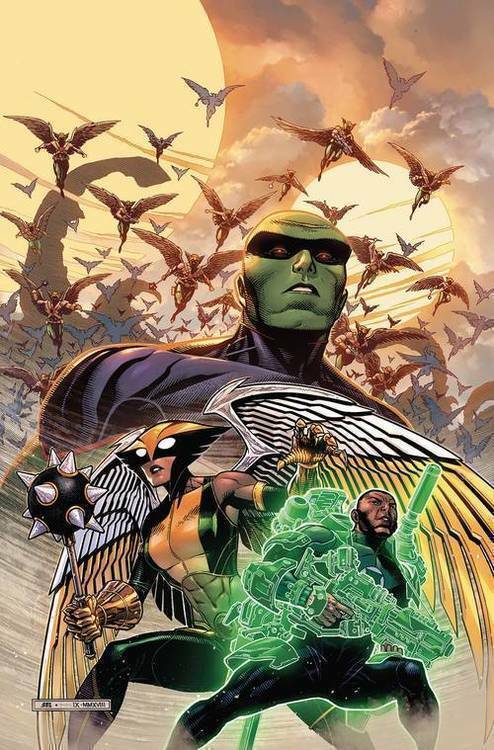 Martian Manhunter, John Stewart and Hawkgirl avoided 'Drowned Earth' with a detour to Thanagar-Prime: J'onn looks to tap into the ancient Martian mental database, Green Lantern struggles while practicing his new UV powers, and Kendra searches for answers about her connection to the Totality. Collects JUSTICE LEAGUE #13-18 and ANNUAL #1.